With the new football stadium being built in Tottenham, the High Road is also being given a new look. 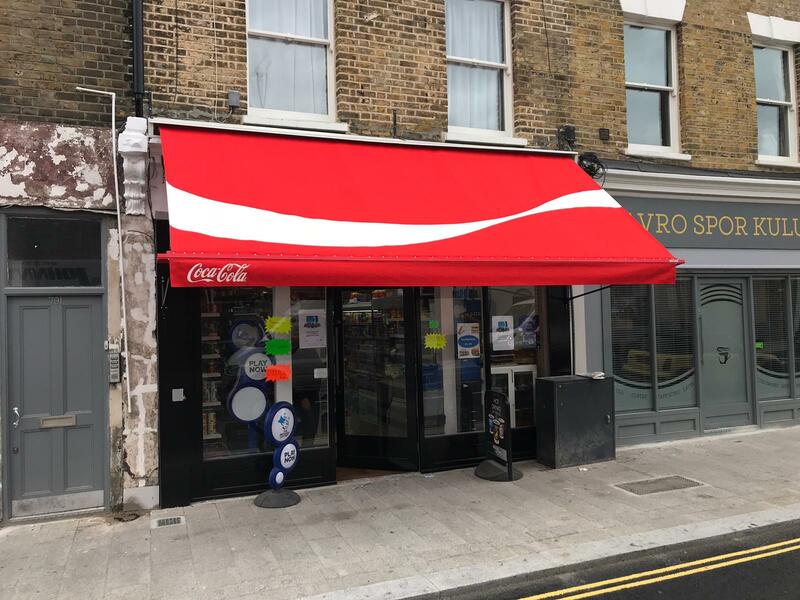 We are pleased to have been involved in a number of different retail premises on Tottenham High Road and the surrounding area. Here we have installed a new Traditional Victorian Awning for number 1 White Hart Lane. As you will notice the main cover has been sponsored, a great way of marketing your brand or business. 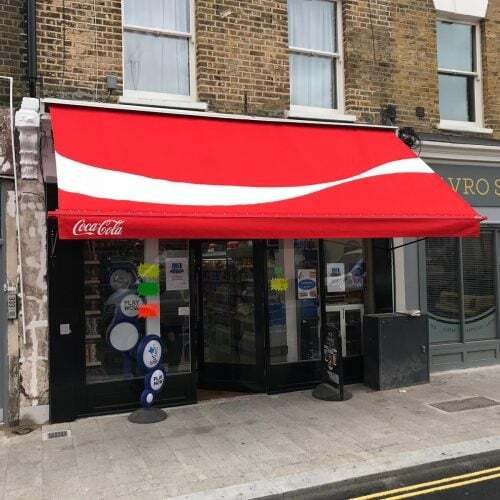 Get in touch today with us to book an appointment with one of our sales executives who will be able to advise on which awning is right for your business. All branding is prepared by the design team for you to check and approve before finally being going into production.